Our Lust For Life Knit Top In Black is the perfect winter staple you need for your wardrobe! 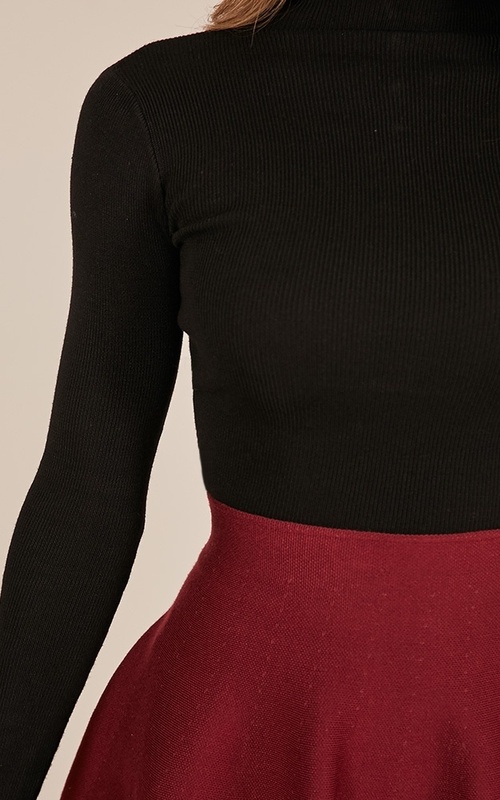 With its comfortable long sleeves and high neck to keep you warm, style with a cute high waisted a line skirt or some mum jeans and you’ll be ready to turn any basic outfit into a classy one! Filter By Height: Show All Under 4'10" 5'2" 5'5" 5'10"
A little more cropped than I expected but that’s fine as it sits perfectly with my high waisted jeans. Comfy, stretchy & not a all sheer. Would recommend. 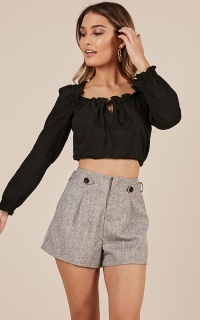 Very comfy, soft, the sleeves are the perfect length for me they just cover my hands when I pull them down, the body length is short, which would go good with something high wasted, overall really happy! The sleeves are short, they run up my arm past my wrist which I can’t stand with long sleeve tops. The back rides up and I’m constantly having to pull it down. Other than that it’s a nice material that can stretch.